One of its major drawbacks of Depo-Provera is the continuous or irregular bleeding (spotting) that can sometimes occur during the first year. While this typically occurs during the first three months, it can persist for up to a year or even more in some women. Learn more about this side effect and what you can do if it persists. Depo-Provera is an injectable form of birth control which uses a synthetic form of progesterone to prevent pregnancy for up to 14 weeks. Depo-Provera is not only discreet and convenient, but it is also as much as 99.7 percent effective when used correctly. As a progestin-only contraceptive, it is also a great choice if you are unable to use estrogen-based contraception. When it comes to birth control, bleeding remains the number one reason why women discontinue contraception. With a drug like Depo-Provera, vaginal bleeding is not only a common side effect but one that's expected to occur in one of every four women. Sadly, there is no way to predict who will experience these side effects or how severe they might be. For most women, symptoms of bleeding will resolve within six months. On the off chance they don’t, a woman may be faced with the choice of either abandoning treatment with Depo-Provera or pushing through. If you begin spotting or bleeding after your first Depo-Provera shot, it may seem distressing but it is generally not permanent. According to the drug manufacturer, around 39 percent of the women on Depo-Provera will cease having periods by the sixth month. By the end of the first year, more than half (57 percent) should be entirely free of side effects. Estrogen supplementation has been shown to relieve bleeding by promoting the growth of the uterine lining while stabilizing blood vessels and blood clot. Not only does estrogen enhance Depo-Provera’s contraceptive effects, but it can also be delivered by oral tablet, transdermal patch, or intravaginal ring. Research has shown that while estrogen provides short-term relief, the effects generally return when treatment stops. Tranexamic acid (Lysteda) is a non-hormonal oral medication which received FDA approval in 2009 for the treatment of heavy menstrual bleeding. Studies have shown that 88 percent of women on Depo-Provera had no vaginal bleeding within 20 days of treatment compared to 8.2 percent in the placebo group. Side effects are relatively mild and include a headache, back pain, stomach ache, sinusitis, muscle and joint pain, migraine, anemia, and fatigue. Mefenamic acid (Ponstel) is a non-steroidal anti-inflammatory drug used for short-term control of spotting and bleeding. It is not considered a long-term solution as prolonged use can increase the risk of high blood pressure, heart attack, and stroke. If any of these treatments are contraindicated or unavailable, some doctors may prescribe a non-steroidal anti-inflammatory drug like ibuprofen taken three times daily to reduce uterine inflammation and alleviate discomfort. If heavy bleeding occurs while taking Depo-Provera, it's important to remember that the drug may not be the source (or only source) of the condition. Abnormal bleeding should always warrant a thorough investigation, and all other causes—including uterine fibroids, sexually transmitted infection, and cancer—should be ruled out before a course of treatment is prescribed. Birth control choices are not always easy. If you are on Depo-Provera and faced with side effects you cannot bear, speak with your doctor about treatments that may allow you to continue or explore alternatives that may be less impactful both in the short and long term. If you haven’t started treatment yet, learn as much about the drug as you can, weighing both the risks and benefits. 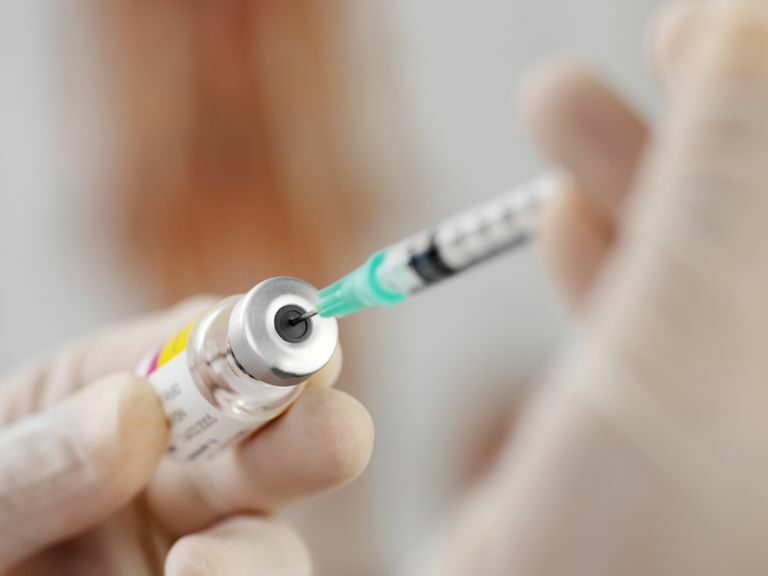 Studies have shown that women who were informed in advance about the risks of Depo-Provera were most able to tolerate the side effects and less likely to stop. As always, knowledge is key when making informed choices about contraception. Abdel-Aleem H, d'Arcangues C, Vogelsong KM>, Gaffield ML, Gülmezoglu AM. Treatment of Vaginal Bleeding Irregularities Induced by Progestin Only Contraceptives. Cochrane Database of Systematic Reviews 2013, Issue 10. Art. No. : CD003449. DOI: 10.1002/14651858.CD003449.pub5. U.S. Food and Drug Administration. Depo Provera: medroxyprogesterone acetate injectable suspension, USP. Silver Spring, Maryland; updated June 2015: Ref ID 3777137.